A flood warning is now in effect for the Skokomish River. The flood warning is effective until late Friday night. According to forecasters, heavy rain is ending in the Olympic Mountains but the River has risen above the 17-foot flood stage and is expected to crest near 17.6 feet around 4 PM Thursday. 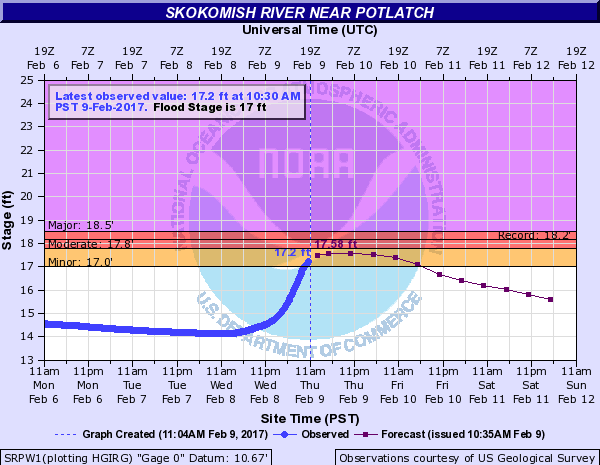 The Skokomish will remain near 17.5 feet overnight and fall below flood stage Friday evening. 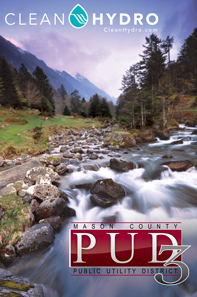 Minor flooding is occurring in the Skokomish Valley with water flowing into pasture lands and over West Bourgault Road and Skokomish Valley Road.